Walking in the Spirit is a journey into what the Bible teaches about life in the Holy Spirit. Author Kenneth Berding uses the apostle Paul and his words in Romans 8 to model what it looks like to live both empowered and set free by the Spirit. 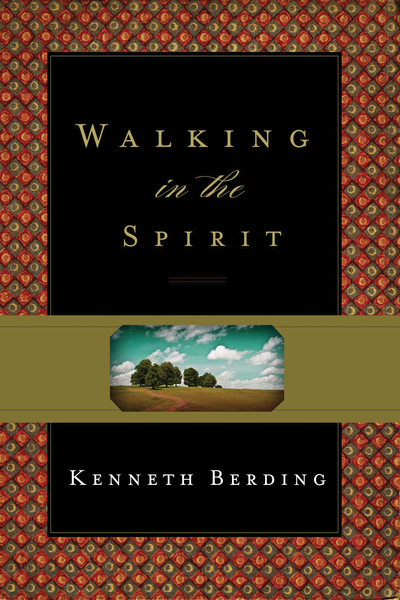 Written at an accessible level, Berding speaks to a wide audience as he seeks to connect readers to the life of the Spirit. His practical guide covers a variety of topics, showing readers how to set their minds on the things of the Spirit, put to death the deeds of the body, be led by the Spirit, know the fatherhood of God, and hope and pray in the Spirit. Berding applies the Bible to life through many of his own personal experiences, helping readers make connections to their own spiritual journeys. Discussion questions for each chapter facilitate personal reflection and small-group study.